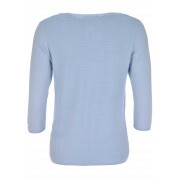 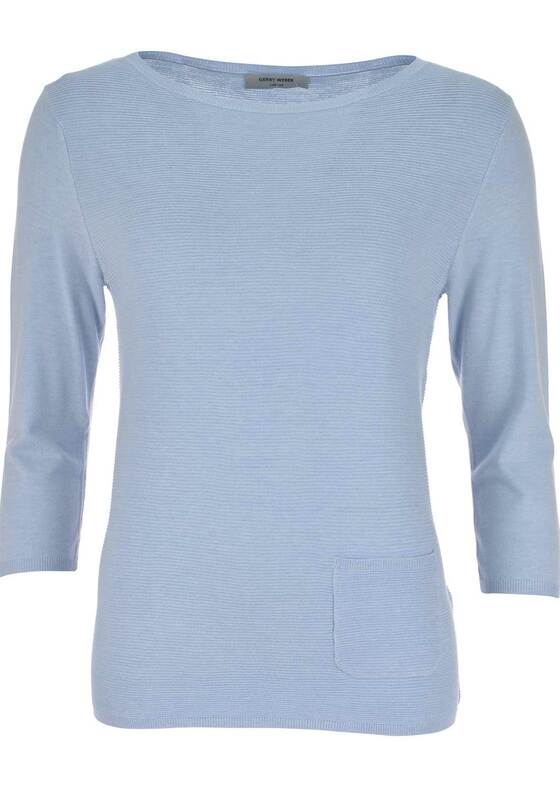 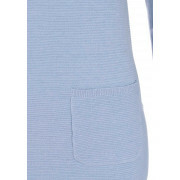 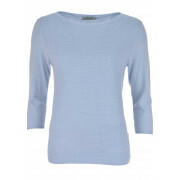 Presented in a soft pale blue, this cosy cropped sleeve sweater from Gerry Weber is the perfect top for wearing with dark denim jeans on casual weekend days. 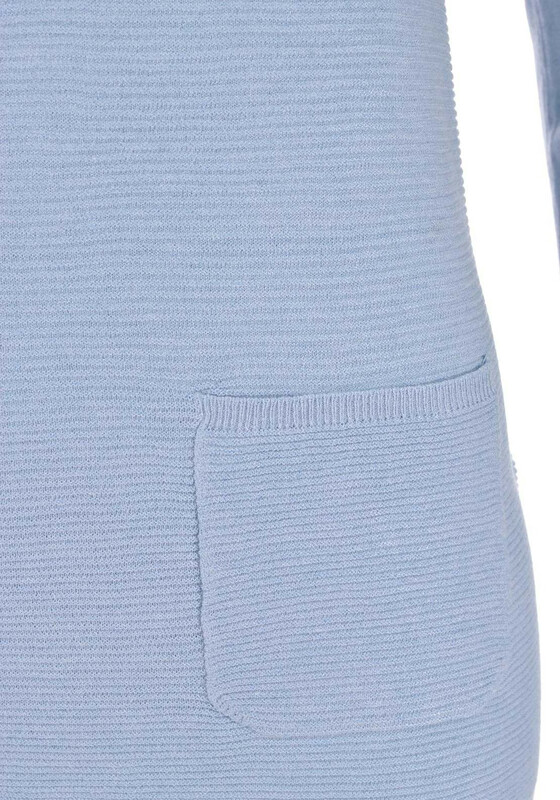 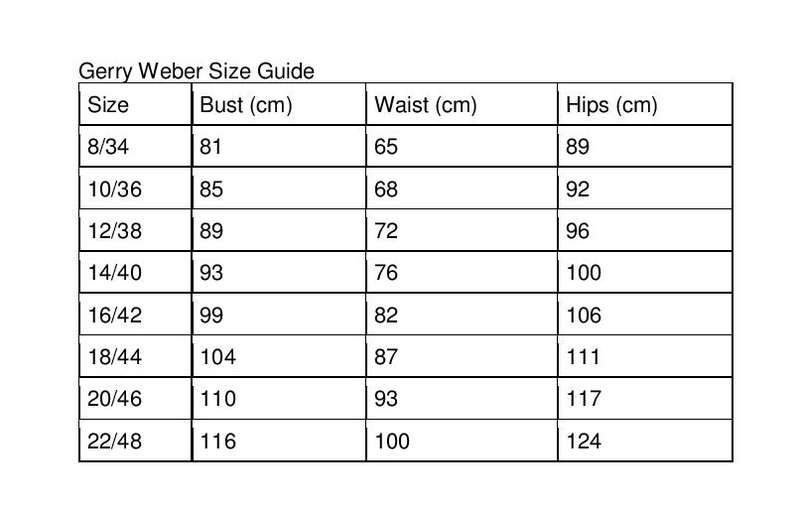 Made from comfortable lightweight fine knit fabric with a ribbed texture. 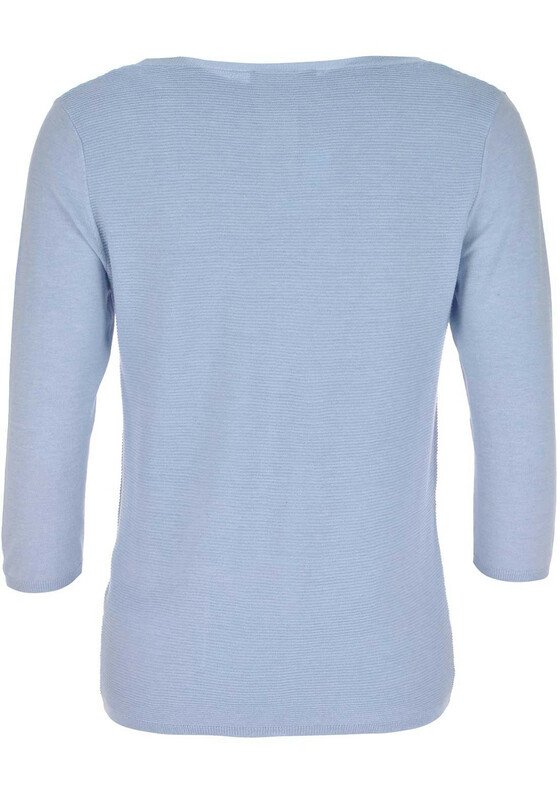 Designed with a slightly relaxed fit and featuring a front patch pocket and round neckline.